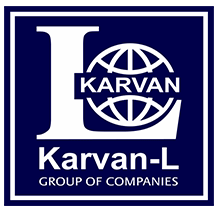 “Karvan-L” Group of Companies is one of the first and largest private production and trade organizations of several companies from different industrial sectors in Azerbaijan and was established in 1993. Karvan-L Group of Companies has been specializing in 5 main business sectors of production: scientific production, construction materials and services, machinery, recycling and agriculture. Group consists of several companies with a different background. As a group we provide multiple services for multiple industries. Karvan L is a parent company which includes: Karvan L Scientific Production Company, Karvan L Glass, Karvan L Utilization and Karvan L Eko Industrial Park. Our global wide trust based partnership list cover major oil producing, construction and industrial companies. Applying vast experience and technical expertise, Karvan L is able to offer broad range of construction services and products production which brings mutual benefit to both the company and its partners.